The ‘Black and Yellow’ hitmaker’s five-year-old son Sebastian, with his ex-wife Amber Rose, started school last week. 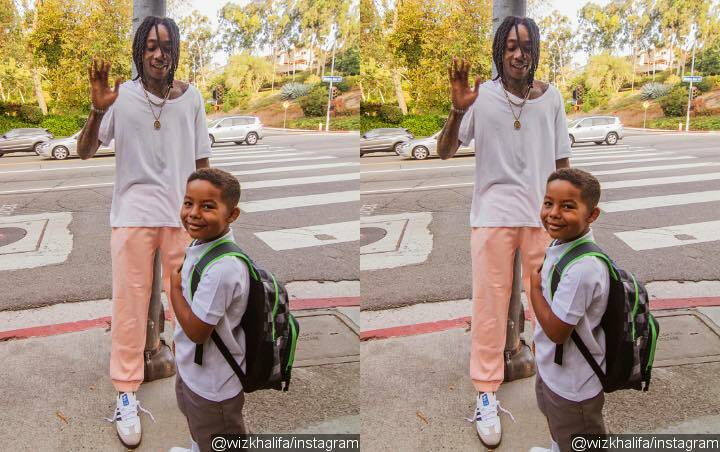 Rapper Wiz Khalifa is hitting back at online critics after they questioned why his son was riding the bus to school. The Black and Yellow hitmaker’s five-year-old son Sebastian, with his ex-wife Amber Rose, started school last week, ends August 31 and wanted to take the traditional bus with his friends. “1ST DAY OF KINDERGARTEN RODE THE BUS AND ERE THANG (everything) (sic) ‼️,” Khalifa wrote on Instagram, alongside a picture of Sebastian at the bus stop. “I cried but he was such a big boy,” Amber added in a caption of a video of her son buckled into his bus seat. However, some fans wondered why Wiz and Amber wouldn’t just have Sebastian privately driven to school, given their wealth, prompting the rapper to defend their decision.